Explosive Pro Wrestling returns to Bodyslam Central to present Rise or Fall. 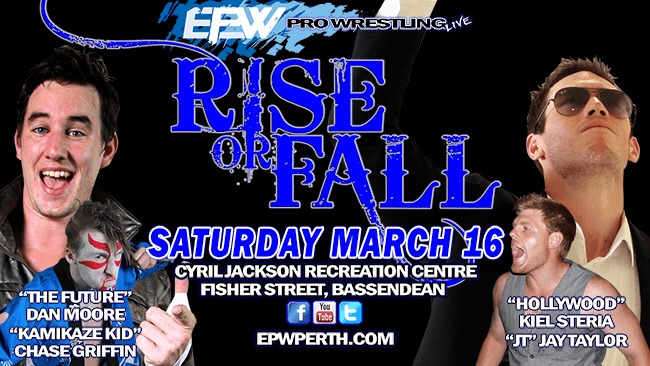 EPW always presents the best that Perth wrestling has to offer, and this show will be no exception. EPW offers all the high-flying, suplex-throwing, in your face action that you could ask for! It’s a great night out for all ages.